Brenntag Oil & Gas offers service and products to suit your needs. Production of taste and functional mixtures in Sarpsborg. Want to stay up-to-date with the latest industry news? Sign up to our newsletter and get updated on products, fairs, trends and much more within your industry. Safety is the top priority at Brenntag. Our goal is to be the safest chemical distributor worldwide. This commitment encompasses the health and safety of our employees as well as product safety and the protection of the environment. Safety is part of our corporate strategy. 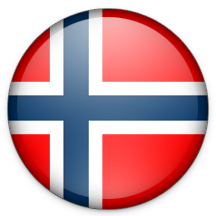 The Customer Portal is a service Brenntag Nordic provides for our customers. It is a service where you as customer can see products, order online and get access to invoices. All with the purpose of making it more flexible and shorten the process from the order to the delivery.